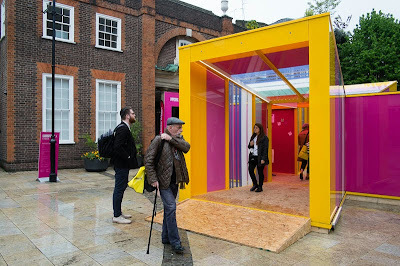 Clerkenwell is the home of the creative set in London whether it be architects, designers or artists. 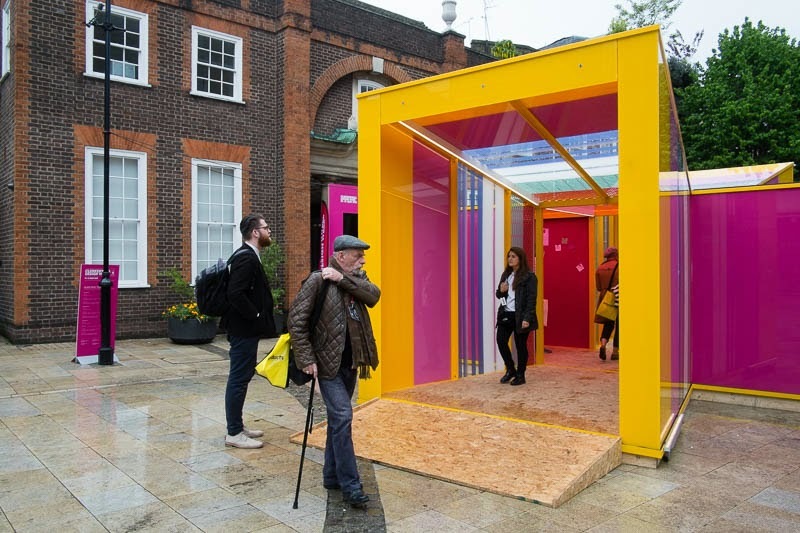 For three days (19-20 May) the entire area is buzzing during the Clerkenwell Design Week Festival. An international event that showcases the latest creations and designs. Whether you are looking for a space age office, an eco house or the quirkiest lamp in the world, you will find it. A concept car that isn't sure if it is a scooter or a car, a chair covered with hand woven textiles from Guatemala and rug made to any design you want were some of what I saw while sheltering from the torrential rain and hailstones yesterday. Sounds like there was lots to see and a good way to spend the waiting time.